Facebook owned WhatsApp, slowly slowly adding new features to make it more and more interesting social app across the globe. Today, WhatsApp is rolling out a new feaure to the beta version of the app which is ‘Chat Pinning’. This feature is now only available for Beta update with 2.17.162 version, you can now pin important chats such that they appear on top of others – all the time. 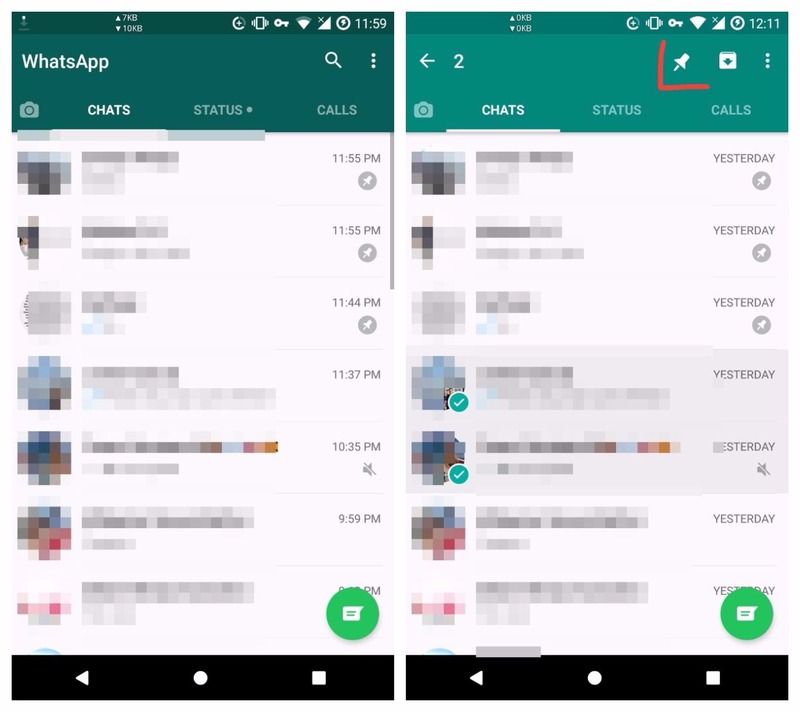 This feature means that you’ll be able to mark conversations as important (pinned chats) and when new messages from different contacts come in, the ones marked as important or rather pinned chats will appear at the top of the conversation list no matter what, even if new messages comes other chats which are not pinned. In this way, it’ll be a lot easier to start and even track any conversation that has been pinned whenever you open WhatsApp. So, do you pin chats? It's very easy, just touch and hold the conversation which you want to pin and tap the pin icon that shows up in the top bar. Once pinned, this conversation will appear on top of other conversations in the list of new messages. Currently, the feature allows users to pin up to three different chats. If you no longer want a chat to be pinned, it’s also easy to remove it. Simply press and hold the chat and then tap the same pin icon, which now appears with a slash.